Patrick R. Leardo is the Chief Executive Officer of Domain Capital Advisors, a SEC-registered specialized investment advisor that provides tailored investment solutions. Working closely with real estate developers, owners, lenders, and investors, Mr. Leardo offers investment advice in the acquisition, structuring, and business plan execution of all types of investments. 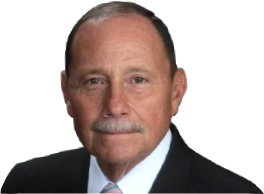 A recognized expert in mergers and acquisitions, workouts, and restructurings, Mr. Leardo brings a wealth of organizational and industry expertise to this role, including more than 35 years of experience in the real estate industry, 10 of which were spent as Chief Operating Officer for a major northeast development and syndication firm. John Luckett is the Chief Financial Officer at Domain Capital Advisors LLC, a SEC-registered investment advisor that provides tailored investment solutions for Real Estate and alternative asset classes. In this role, he oversees financial reporting, accounting, and auditing matters for the company. 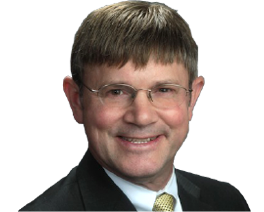 Mr. Luckett began his career in 1986 with Ernst & Young, where he specialized in real estate audits, compilations and reviews. In 1988, he accepted a position with Raymond James Properties, Inc. as Controller, and remained in this role for the better part of a decade. In 1998, the company was acquired by Simpson Housing Limited Partnership (SHLP), at which point Mr. Luckett was appointed Vice President of Finance. 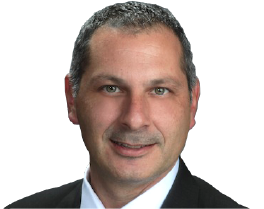 Anthony Tittanegro is a Managing Director & Principal at Domain Capital Advisors LLC, a SEC-registered investment advisor that provides tailored investment solutions for Real Estate and Alternative asset classes. In this role, Mr. Tittanegro is responsible for client development, investment sourcing, acquisitions, asset management and ongoing client support. Mr. Tittanegro began his career in 1992 with Prudential, where he lent support to the development of the general account’s capital allocation strategy and provided analysis on the portfolio’s associated investment returns. 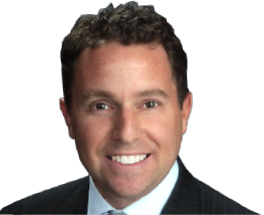 Andrew Lary is a Managing Director and Principal for Alternative Investments at Domain Capital Advisors LLC, a SEC-registered investment advisor that provides tailored investment solutions for Real Estate and Alternative asset classes. In this role, Mr. Lary is responsible for client development, investment sourcing, acquisition due diligence, asset management and ongoing client support for late-stage venture capital, private equity and entertainment finance asset types. Upon graduating from Tulane University in 1995 with a B.S.M. in Accounting, Mr. Lary began his career with PricewaterhouseCoopers (PwC) as an Associate in the Business Assurance practice. Before long, he became a Senior Manager for PwC’s Real Estate Business Advisory Services group, where he managed select key client relationships and their corresponding consulting projects. 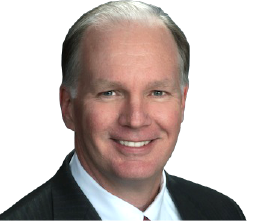 Tom Hallowell is the Director of Real Estate Investments at Domain Capital Advisors LLC, a SEC-registered investment advisor that provides tailored investment solutions for Real Estate and Alternative asset classes. A 25-year veteran of the real estate investment industry, Mr. Hallowell has been managing assets for Domain’s real estate clients since 2012. He is currently responsible for client development and support, investment sourcing, due diligence and asset management for real estate operating companies, apartment properties, real estate funds,mezzanine debt and preferred equity investments. In 2008, Mr. Hallowell founded Foundation Realty Advisors, a real estate investment firm and principal investor that focused on value-add and core office property acquisitions. Prior to that, he was Senior Vice President for Colonial Properties Trust where he spearheaded the $1.8 billion joint venture co-investment acquisition of CRT Properties, and directed and closed the recapitalization of the company’s wholly owned office portfolio in separate $170 million and $1.1 billion joint venture transactions. client development, investment sourcing, acquisition due-diligence, asset management and ongoing client support for real estate investments. The early years of Mr. Taylor’s career included two years with PricewaterhouseCoopers (PwC) —first as a Senior Associate in the Real Estate group within Financial Advisory Services practice, then as a Manager. In 1999, Mr. Taylor joined JPMorgan Chase where he worked in nearly every aspect of the commercial real estate debt business. 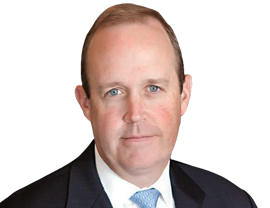 During his 10-year tenure, he contributed to $8+ billion of CRE transactions, was named co-head of the Atlanta office, and was later promoted to Executive Director and Head of CMBS Underwriting for the East Region. 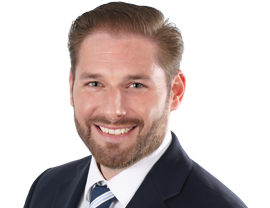 Patrick E. Leardo is the Chief Compliance Officer and the Operations Officer at Domain Capital Advisors LLC, a SEC-registered investment advisor that provides tailored investment solutions for Real Estate and Alternative asset classes. In this role, he oversees regulatory compliance matters, and manages company operations to ensure high levels of efficiency across multiple groups within the organization, including Human Resources, Information Technology, and Communications & Marketing.